Enjoy this article, written by Bambi Wineland of www.motherlandtravel.com. Heritage travel for families with internationally adopted children allows families the opportunity to experience their child’s birth country, understand its people, and learn firsthand about their child’s roots. A Heritage Journey can also provide internationally adopted children the ability to see the beauty of their motherland and more importantly, to share it with their adoptive families. Being in their birth country allows an adopted child the opportunity to be amongst (potentially for the first time) people they might resemble and with whom they share a rich cultural heritage. Simply put, recognizing that you are ‘similar to’ others rather than ‘different than’ others can be powerful in shaping a young identity. A well-planned Heritage Journey can help families connect more deeply, empower our children, build self-esteem and a positive self-identity, as well as cultivate pride in a family’s multi-cultural heritage. When should an adopted child travel to his or her birth country? There is much written about when a child should travel to visit his or her birth country and there is no ‘right’ answer. The overwhelming consensus however, supports multiple trips to a child’s birth country, if possible - beginning when an adopted child is young (4 to 5 years old, provided they have been in the adoptive household at least two years and are bonding well) and continuing throughout the child’s life. After more than fifty years of international adoption, we have learned how important that cultural connection can be for developing a positive identity. Exploring a child’s culture helps a child feel whole, which builds self-esteem and cultivates pride in his or her heritage. When a child is ready, heritage travel can also help an adopted child and their families fill in the missing pieces of their lives - finding foster families, birth families, and/or siblings, and often visiting orphanages. This element of heritage travel should not be taken lightly, however, and most authorities on this topic would agree, should not necessarily happen on the child’s first visit to his or her birth country. Understanding the different types of heritage trips. There are several companies that offer heritage travel for families with adopted children. When choosing the type of heritage journey that best fits your family, keep in mind the needs of every family member - the parents, the adopted child, as well as any siblings that will travel. Heritage trips are typically either group trips or customized for individual families. Group heritage trips tend to focus on well-known cultural sites, cultural immersion activities and optional visits to orphanages, to meet foster families or to find birth families. A group typically consists of ten or more participants. Group trips have set departure dates and a structured itinerary that might not allow for as much individual customization. Large groups (30+ participants) usually have a well-trained guide(s) on the tour and often a social worker or staff member as additional support. Smaller groups are often run with well-trained local guides. Group tours are not as flexible as customized trips but are typically less expensive. offer a range of options from which a family can choose - depending on their budget, comfort level, timing and needs. When traveling with my daughter to China, we participated in a large group trip that included many famous cultural sites from The Forbidden City to the Great Wall of China. We were able to hold live baby panda bears (my daughter’s favorite part by the way) and visit the mysterious offices of the CCAA (the governmental body that processes all Chinese adoptions). With a large group trip, we enjoyed the benefits of economy of scale but at times I recall an exhausting and structured itinerary that seemed overly rigid and very impersonal. Although I am by nature outgoing and energized by meeting new people, it became apparent that my more introverted daughter was increasingly withdrawn being around people day and night with such a structured itinerary. The large group trip did not always serve to connect us more deeply; rather it caused friction at different times throughout our two-week journey. Overall the experience was positive, but in hindsight, a large group trip would have better suited my son, who like me, enjoys interacting with many different types of people. Being a travel planner, I broke my golden rule; understand the needs of the family before designing their trip! By contrast, when traveling solely with my family - although less economically beneficial – I design the trip to take consideration the likes, dislikes, and needs of everyone in my family thus creating more positive memories for each of us. There is a natural intensity to foreign travel that can be harnessed to manage experiences and outcomes when traveling with a very small group (like a family). It is also easier to manage expectations and have a more fluid and dynamic itinerary. For instance, we can replace a visit to a sought out cultural site that might not interest everyone in my family with a more personal visit to a chocolate factory, to climb a small volcano, or maybe to kayak in beautiful lake. It is the ability to make these small changes, taking into consideration each traveler, which contributes to a positive overall experience. Travel concepts that make a difference in a Heritage Journey. When planning a trip to visit your child’s birth country, you should not only consider the size of the group you want to travel with and the places you want to visit, but what you desire to gain from your experiences. A Heritage Journey can be life changing for your family. Being intentional with your planning will maximize the benefits. 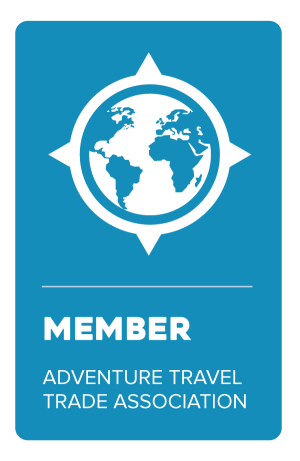 A philosophy that is being explored by many travel companies today is Experiential Travel. Experiential Travel is the antithesis of pre-packaged tour groups or one-size-fits-all itineraries. Experiential Travel is the notion of using travel to create memorable and powerful experiences that enrich a traveler’s life and improve the way he or she connects with loved ones and the world. Travel experiences that resonate on a deeper emotional level. The principles of Experiential Travel can be employed in a number of ways and on many different types of trips including adventure, cultural, natural, or spiritual. The demand for creating experiences rather than traditional site-seeing tours is driving travel companies to look at designing itineraries in an entirely new light. Another concept that is coming of age in the travel industry is the notion of Transformative Travel. Similar to Experiential Travel, Transformative Travel is simply, travel that fosters positive change in an individual or family. And in her article, Transformative Travel, An Enjoyable Way to Foster Radical Change (2010), Susan L. Ross talks about specific types of travel that foster change. A few that she mentions are heritage travel, adventure travel, service learning and cultural immersion. - Designing a well thought out, intentional trip that takes into consideration the needs of each traveler. - A novel destination that takes the traveler away from known experiences and outside their usual sphere of influence. - Activities that stimulate contemplation and emotion. - Embracing the unknown (facing adversity, challenge, discomfort, fear). - One-on-one intercultural experiences involving in-depth interaction (cultural immersion). - Post-travel activities like journaling that help each traveler reflect upon and find meaning in their travel experiences. - The ah-ha’s of planning a Heritage Journey! - The most important thing to remember is that each family and every family member is different. There are different budgets, preferences and needs that should be considered before embarking on any trip—particularly one as important as a Heritage Journey! - The order of experiences and how each experience might affect members of the family. I want to think through the potential emotional triggers so I understand how to avoid trauma and reaction whenever possible. - The comfort of each traveler, which I consider paramount to rejuvenation, connection and reflection of your experiences. - The use of adventure activities in order to introduce adrenaline and oxytocin--which builds self-esteem, and offers a platform for bonding. - Rich cultural interactions that facilitate a deeper understanding and connection to the people and culture of the country you are visiting. - A Heritage Journey can be a powerful and rewarding experience for families with internationally adopted children and coming up with a plan that works for your family is essential. Bambi Wineland is the mother of two internationally adopted children, a Certified Professional Coach and the Founder and CEO of Motherland Travel. Motherland Travel designs Heritage Journeys for families with internationally adopted children. The emphasis of these journeys is on family bonding, building self-esteem and cultivating pride in a family’s multi-cultural heritage.